What's in the Skeleton Key rooms at Cedar Point’s Haunt? I have heard for several years about something called “Skeleton Key Rooms” in some of the haunted houses. These were special scare locations that were found inside some of the haunted houses, but were only available if you had purchased a “Fright Lane Pass,” similar to a Fast Lane Pass but it provides you a one-time-only front-of-line pass at all of the indoor haunted houses, plus the outdoor “Cornstalkers” walk-through. This year the Skeleton Key Rooms are no longer inside haunted houses, but are located in four buildings along Frontier Trail, Cedar Point’s themed area lined with historic log cabins, forts and craft shops, and which is rethemed for Haunt as “Maniacal Mechanical Screamworks,” a steampunk-themed scare zone. 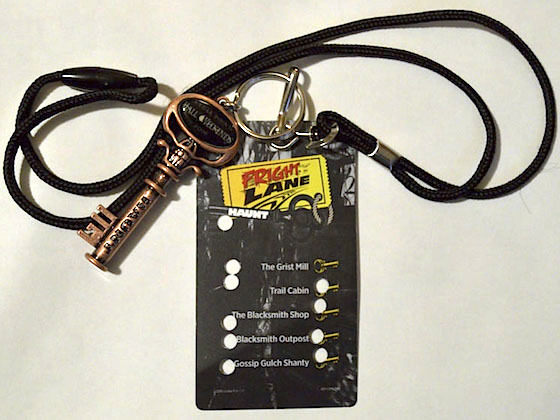 I purchased our Fright Lane passes, which included Skeleton Key Room admission, online. Each cost $70 and does not include park admission — I’ll discuss the value of the Fright Lane later. I took our vouchers to Guest Services, but was told that we had to take them to the ticket booths outside the park entrance and wait in line to actually get our passes (even though we already had Platinum Passes). The lines were not moving very fast, and there were not enough ticket booths open — it took us about 20 minutes to reach the front of the line, hand the voucher in and be handed a nondescript lanyard with a Fright Lane punch card and a really neat souvenir “Skeleton Key” hanging from it. We went on a Friday night when Cedar Point is open for the Haunt from 6 pm until midnight. Most rides were running, except for about a dozen of the “second tier” rides such as the Giant Wheel and Corkscrew, and they had several food trucks stationed throughout the park to help with providing food options. Cedar Point seems to have a challenge with staffing HalloWeekends, especially on Friday nights, and the food trucks were a welcome sight. We got some gourmet grilled cheese sandwiches, found a great table overlooking Celebration Showplace (formerly known as Celebration Plaza), and caught a performance of “Skeleton Crew,” an acrobatic show with tumblers, tightrope walkers, and trampoline artists. Right after this show, hundreds of “Screamsters” covered with black robes gathered around the stage for “The Call of the Scare,” where each of the fourteen haunted houses and scare zones is introduced to the audience, then the Screamsters are sent to their respective haunts to begin the “Haunt”ing of Cedar Point. #3 & #4 — Two rooms, basically unrelated to each other, were in the Blacksmith Foundry and adjacent store. The first was something about a guy running a moonshine still, and he asked everyone to try his latest batch (which all the guys did and all the ladies refused). He poured us a strange yellow liquid into cups for us to try — not unexpectedly, it was not moonshine. What was it? Terrible. Unpleasant. The guy told us that he just got his new supply from the outhouse down the Trail. Eww-w-w.
#2 (I told you they were not in order) — The Jail. On the way to the jail we met a friend of ours, Megan, who was working as a Screamster in that area and introduced us to the Sheriff sitting in a rocking chair on the front porch. He was loud, cantankerous, and one of the best actors we saw that evening. He had us thrown into the jail with a rather strange person who for some reason was not able to talk. He tried to mime something to us, which inspired me to start signing using American Sign Language to him. He looked totally horrified that I knew sign, then as he shook his head it was obvious he had no idea what I was saying. Frankly, I felt the same way about his miming. He was probably the worst mime I have ever seen, and we never did understand what he wanted us to do to get out of the jail cell. Even the Sheriff yelled in at us, wanting to know what was taking so long! Finely out of frustration the mime just pushed open a hidden door and we escaped from his strange gesturing. We entered a room filled with dead cats: stuffed cat carcasses, mounted cat skeletons, deformed cats peeing onto the table, and surrounded by these felines was the Crazy Cat Lady, who named just about every cat in the room. She was really a very good performer, and luckily she actually talked to us! She told us that the only way out was to find something hidden in the large litter box sitting next to the door, a litter box filled with (fake but still good-fake) cat poop. We were up to it, so in we dug and what did we find? A fake human hand that reached out to grab us! That was it — we could leave. What the hand had to do with us leaving I never did figure out. #5 — This was a nondescript building a little bit off of the Trail, and I don’t know what it’s used for if anything other than the Skeleton Key room. It’s a simple walk-through maze, but it’s completely in the dark — no light at all, so you have to put your hands out to find the walls, doors, etc. while passing through things hanging in your way — soft tubes, strings and such. Soon the voice of a creepy woman is heard, both teasing you to find her and giving you a target to aim for to find the exit. Suddenly you find her and the exit door, and you’re outside again. #1 — Addington Mill (the grist mill). We were greeted by a frantic woman who told us that there has been a cave-in in the mine (a mine?) and we have to get into the elevator (in a grist mill?) We entered a small room (along with the woman), the door is closed and the room begins to move slightly. There are screens in the floor and ceiling where we can see the mine shaft we are descending, when suddenly “something terrible happens!” — the cable breaks and we are plummeting down to the bottom of the mine shaft far below. The room is shaking and rocking, the woman is screaming, and suddenly the room stops and everything goes dark. She then opens the door and we’re done. None of the Skeleton Key rooms were in any way scary. They were all rather fun, somewhat silly and entertaining, and (except for the bad mime) staffed by rather good actors. Would I do them again? Probably not. You can’t visit them without purchasing a Fright Lane pass for $70/person, and even with the pass I don’t know if I’d spend the time to visit them. Is Fright Lane itself worth the cost? That depends on how dedicated you are to visit all the indoor haunted houses and how busy it is that evening (and if the weather is anything less than a downpour, HalloWeekends usually is very busy). The Fright Lane Pass definitely speeds up access to the haunted houses, much more so than the Fast Lane speeds up access to the coasters at Cedar Point. I suspect that, if you were committed to visit each indoor haunt, possibly at the expense of skipping some of the outdoor haunted mazes, or zones, or whatever you want to call them, you could do so by waiting in the regular lines. There was one haunted house that I had not visited before — “Slaughter House-You’re Dead Meat” — and we really enjoyed it. 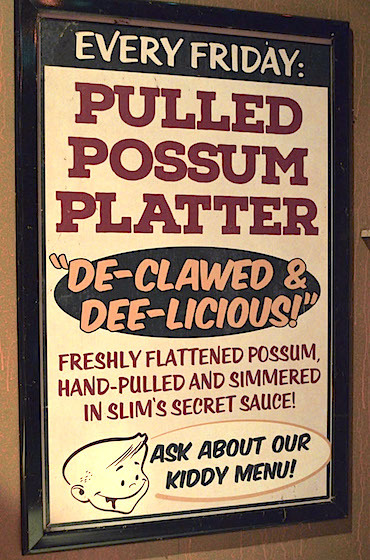 The entrance queue begins in a 50s-style diner, with a buffet of bloody, barely-dead animals and very funny posters on the wall. After navigating the queue lines visitors enter a — you guessed it — slaughter house with a macabre twist. Using the description in the official “Fright Guide” for the Haunt, “Our butchers are looking for fresh meat and you just might be the next course. But, beware, the barnyard may turn on you in this cannibalistic nightmare.” Lots of chain saws, meat cleavers, and what was probably the creepiest, weirdest and most fun experience at the entire Haunt, a long hallway where you had to push your way through a pitch black tunnel of vinyl bags that made you feel like you were being — sorry, but no other way to describe it — excreted from the south end of an animal. Gross. Disgusting. I want to do it again! HalloWeekends at Cedar Point has grown and matured so much since it began twenty years ago. Dozens of family and thrill rides, fourteen “Haunt” attractions, twenty-one “Great Pumpkin Fest” attractions, five “Skeleton Key Rooms,” eleven live shows including the “Great Pumpkin Parade” and the brand new “Blood Drums” percussion and fire show, and some amazing outdoor decorations involving thousands of pumpkins, gourds and other seasonal decorations have made HalloWeekends at Cedar Point into a Halloween highlight for thousands of visitors to America’s largest amusement park, Cedar Point in Sandusky, Ohio. As always at Cedar Point, there’s just too much to do in one day! October 14, 2016 at 12:46 PM · I was at CP Sunday night. Top Thrill, Magnum, and Raptor were walk ons. October 14, 2016 at 4:42 PM · Excellent article, Mr. Koehl! I am not much of a Halloween fan myself, but was always curious about these Skeleton Key rooms, so thank you for reporting on them. Now I don't have to pay the extra to visit them! October 15, 2016 at 12:10 AM · Great report! It sounds like Cedar Point's Skeleton Key rooms are fun to do if you purchase a Fright Lane pass, but not worth spending the money just to do them. 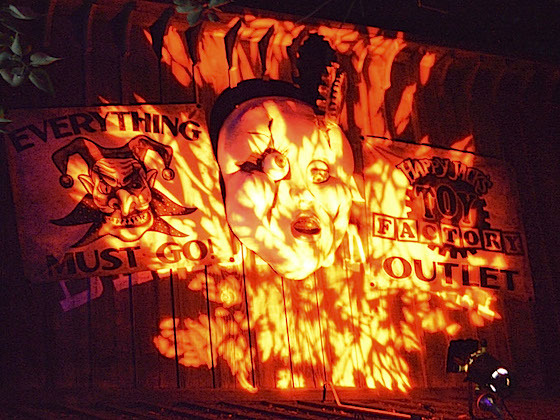 I'm headed to Knott's Scary Farm on Sunday and am curious to see what their rooms are like...I'll be sure to post a report in the discussion forum sometime next week. October 15, 2016 at 9:23 AM · The duck was one of the swan paddle boats they had in the lake under Maverick. It's now steampunked for HalloWeekends and afaik is the last one in the park. October 15, 2016 at 2:47 PM · Thanks for this review! We took a trip from Philly to CP for Halloweekends the first weekend in October. We were thinking about getting the Fright Lane, but ended up passing on it because the crowds were light all three days. To get it just for the five rooms seemed like a lot of money ($80 per person for Saturday!). Still, I love haunted houses so the thought of missing out on something bothered me...but it doesn't sound like the rooms were anything amazing. Definitely nothing there that I regret missing. October 16, 2016 at 2:28 AM · I did the Skeleton Key rooms at Knotts and California's Great America. I found that the Knotts rooms got big lines and pretty much stayed that way (even though it's one access per person with Fright Lane), CGA not so bad. What was the Point like for Skeleton Key rooms lines (if you happened to go back that way later)? Great report, you really sold me on visiting. October 18, 2016 at 3:09 AM · Awesome article, i was debating paying the $145 for all access pass this Sat. Is it worth it? October 20, 2016 at 4:14 AM · Sorry I didn't respond sooner. I would say, and it's not my $ involved, that if you are really committed to seeing every indoor haunt AND outdoor walk-through haunt AND you want to get some night rides on coasters, then yes, get Fright Lane. It will save you a lot of time not waiting in line at the indoor haunts (plus Cornstalkers). We bought our passes online, but still had to wait in line at the ticket counter outside the gate to get our Fright Lane lanyards, and that took time. Plan accordingly. Should you do Skeleton Key rooms? If you have time and there's not a long wait, then sure- they were fun, silly, and something different. I understand that the weather there on Saturday should be really nice, which means really crowded. Have a great time! Before reading the "Rest" of your Article I like to point out to you that the dates for the Meet Up are anounced now in my 2017 Planing Thread (last Post)! As you not have listed an Social Media Contact or their Exists a Message System on TPI about I know I can only notice you like desired in this way..
Also regarding an former Article from you regarding Water Problems at C.P. I like to know: The Saftey concerns about the Main Park and Hotel Breakers going about that in Case of Fire their would not be enough Presure?